Your #1 Priority is our #1 Priority! Lynn is very excited to be a part of Miloff Aubuchon Realty Group. She and the company share the same values, philosophies, and expertise in the importance of establishing long lasting relationships. Lynn launched her own real estate company at age 22, owning and operating it for 30 years. Her career is based on knowledge, honesty, dedication, and integrity. She is revered for being a top real estate agent and has an extensive referral base. Her creativity and marketing skills through NETWORKING, are two of her outstanding qualities. Whether you are looking to purchase or sell a property, look to Lynn to make your wishes a reality. Lynn is always clear and decisive, and gets the job done. At a young age, she realized the importance of going above and beyond the norm in performance and service in order to be successful and help others reach their real estate goals. This enabled her to create countless satisfied clients. Lynn attributes her success to being passionate about helping people whether it’s a real estate transaction, a fundraising activity, or giving back to the community. Her unsurpassed positive energy helps people reach their goals. Lynn enjoys spending time with her family friends and charity work. She has a true fondness for fine dining at local restaurants and traveling. She also enjoys reading, wine tastings, the beach, boating, music festivals, theater, offshore powerboat racing, traveling and skiing – these are just a few other activities Lynn embellishes in life. “Stacy and I want to say thank you for the tremendous help and service you have provided us on our path to owning an investment property in Cape Coral. Having owned only local real estate before, and being unsure of the neighborhoods in Cape Coral, we were not sure if long distance investing would work for us. So it was fantastic when you were always available to answer my numerous questions and phone calls. Now that we have purchased our investment property we cannot imagine having done it without you. The time you put in after our bid was accepted was more than we ever could have asked for. We could never have gone through with the sale without having your “boots on the ground.” It made Stacy’s trip to manage the fixing up of the property so much easier having the great people in place you found to help us with the rehab. Really, I don’t think that from finding a house, to getting it ready for rental, that it possibly could have gone smoother. I have already mentioned you to several friends of mine who may want to also invest in the Cape Coral market. “My wife and I contacted your agent, Lynn Hesselbach, last fall when we were interested in purchasing a home here in Cape Coral. Even though our home in Connecticut had not yet sold, and as a result, we were not yet in a position to purchase, Ms. Hesselbach spent several days with us to show us what was available, and to familiarize us with the area. In April, we did sell our home in Connecticut and again Ms. Hesselbach spent several more days with us until we finally found the home that we purchased. During the past 25 years, we have bought and sold 11 different real estate properties, all with the help of either a buyer’s or seller’s agent. Never have we had an agent that was as helpful and caring as Ms. Hesselbach. She helped us find financing, a closing agent, home maintenance and repair companies, and watched over the home while we were out of state awaiting the closing. She also helped us become more acclimated with the area. In short, she went far above what one would expect of a real estate agent. Working with Lynn was such a pleasure! I wanted to take the time to let you know what a wonderful experience I had buying a home in Cape Coral with Lynn Hesselbach as my realtor. I lived in Tampa and drove down a few months back to simply check out the areas of Cape Coral and Fort Myers. I looked at a few lovely homes, although they did nothing for me. Then Lynn brought me to a home she knew I’d fall in love with and she was absolutely right on target. I started snapping pictures left and right and the next day made an offer. I’ve since moved and am getting to learn the Cape Coral area. Lynn made this all possible and was extremely helpful with all the questions I had regarding the purchase and also Cape Coral as my new neighborhood. Her expertise and neighborhood connections made the entire transition a very smooth one and the staff at the office were very accommodating to any needs that I had. I believe Lynn’s intuition played a huge role on this sale. I looked at many homes that day….all beautiful homes, yet they did nothing for me. Lynn got to know me and then brought me to the house I now own! She instinctively knew it was right for me. I believe that is what makes her such a knowledgeable realtor and great asset to your company. I’ve bought and sold many homes over the years – this was by far the most painless purchase I have ever experienced and I owe that to Lynn. Awesome and simply the best! “We are writing to let you know we feel blessed to have met Lynn Hesselbach. We are from New Jersey and we have been searching for a home in Southwest Florida. My husband Bob our daughter decided to go down to Florida for a few days and look at different communities. They started in Naples and then made their way to Cape Coral working with a different real estate agency for 3 days and not having any satisfaction, being shown homes that were not what we were searching for. So…. the day they were to return home, they checked out of the hotel, and decided to ride through SW Cape Coral for one last time. They saw a house and decided to call the listing agent, Lynn Hesselbach. Bob explained to Lynn he needed to be at the airport by 4 PM. She went above and beyond right away. Lynn put together several listings and drove them around all afternoon. They fell in love with a house, and put in an offer. Lynn assured them she would take care of the rest as they needed to leave for the airport. Before they boarded the plane, Lynn called and told my husband the offer was accepted! I cannot tell you how nervous I was purchasing a home I had never seen! Lynn called me and introduced herself and made me feel like I had known her my entire life. She then went and measured all the rooms for us, and took extensive pictures for me. We still needed to sell our house in New Jersey, and not knowing a real estate agent up here, Lynn researched and interviewed several agents in our area and suggested one in particular. We interviewed the one she picked, and decided to list our home with her. Our home had a contract in 2 weeks!!! Thank you Lynn! We received daily phone calls from her to just check in with us. She would go by the property and make sure all was well. We then went down for a few days for the closing and she again could not have been more helpful and hospitable. Her input and knowledge has been invaluable. She has made two Jersey people feel like they belong in such a new environment. This was a very big decision for us and without Lynn’s guidance I honestly do not think we would have made the BIG move. I could go on and on about how professional Lynn is. She went above and beyond our expectations. It was our pleasure working with her and your agency. She is an inspiration and an asset to Real Estate!!!! “Hi Lynn, sorry it’s been awhile since we’ve last been in touch. Hope all is well. Sure do miss you, Cape Coral, the house, and Florida. It was such a pleasure literally running into you back in July! Just think how it all happened…it was like good Karma. Jim and I were frustrated with the agent we had been connected with during that particular time. Then as we were driving, we made a U-turn into Miloff Aubuchon’s Real Estate Information Center and there you were! You impacted our lives so positively (and it happened so quickly). You knew exactly what we liked, no pressure. You addressed our needs and wants in terms of properties. You are the embodiment of what true customer service should be and is rarely experienced by us the consumers. You’re more than a real estate agent…you are our advocate and most importantly a new good friend! “I recently had the privilege of working with Ms. Lynn Hesselbach of Miloff Aubuchon Realty Group, Inc. during the purchase of our new home. I found Lynn to be very patient and supportive throughout the entire process. We looked at dozens of homes as we narrowed our choices. I was very pleased that Lynn provided advice when asked, but did not try to influence our decisions. She tried very hard to discern the type of house we sought and to seek out the appropriate listings in our chosen location and price range. In the end we chose a bank-owned home which resulted in additional challenges in the negotiation of the sales contract and closing expenses. Lynn patiently guided us through the process and made sure that the final documentation was acceptable to the bank. Tending to all of these details required a significant time commitment and Lynn did this willingly and was very gracious during these transactions. Lynn worked with us after the sale to make sure everything was in order. “Thank you so much Lynn! Tomas and I are truly lucky to have had you help us through the daunting task of purchasing our first home. You tirelessly made yourself available during the entire search, purchase, and closing process. Each day you progressively narrowed down what we were looking for and provided guidance and insight. Our search, offer, inspections, repairs, and closing was 100% smooth with no issues. Despite your always professional demeanor, we shared plenty of laughs and we couldn’t have had a better experience. I cannot wait to tell my family and friends about you and the Miloff Aubuchon Realty Group. I’m confident they will have a terrific experience as well. My husband and I would like to take this time to express our delight in working with Lynn Hesselbach of Miloff Aubuchon Realty Group, Inc during our search for a home in Cape Coral. We had only 3 days in town to look at properties and because of our wonderful agent, we were able to find a home that we are thrilled about and are in the process of closing on. Friends of ours referred us to Lynn and have praised her professionalism when they were doing their search. Upon our arrival, Lynn had all the listings ready and quickly understood our likes and dislikes and was able to show us viable properties. We looked at dozens of homes until we found the one we liked. She proceeded with the negotiations to finalize on a price we felt comfortable with and then assisted us to arrange the house inspection before we left. Living in a different state, it was certainly helpful to move on all items while we were there. In the process of selling my late Mothers home, my family and I relied on the guidance, support and leadership of Lynn Hasselbach. Though what could have been a very difficult process, it became one of great joy and satisfaction. At first Lynn made a series of recommendations that we were able to do at a very low cost while requiring a minimal amount of time. This put the home at a peak selling appearance. Then Lynn told us what she thought the home could sell for. It was quite a bit more than a couple of other highly regarded realtors had suggested. We were able to do this. The bottom line was that Lynn believed in us and supported us throughout this process and we were able to sell this home for more than I could have imagined. What Lynn did for me and my family was to help us lay a foundation for a long term financial security. “I would like to thank you and your staff for the exceptional service provided during the purchase of our Cape Coral home. Lynn Hesselbach was referred to us by a friend who is one of your clients. We live in Ft. Lauderdale and were in the market for an investment property. After coming to the conclusion that we could not purchase what we wanted within our budget in Fort Lauderdale, we decided to look in Cape Coral. Initially reluctant to purchase over 100 miles away, Lynn eased our reservations during our first visit with her. We looked at several homes in different areas of the Cape and she gave us a guided tour of your charming city. Lynn quickly tuned into our preferences and requirements in a home. On our second visit, we found two homes that we were interested in buying. Lynn never made us feel rushed or pressured to buy, which was an unfamiliar experience as compared to other agents that we have used in the past. Although she was not hired as a buyer’s agent, we felt that she had 100% of our best interest at heart. The closing process was very easy. We loved your paperless system. It was so nice to sign the contract and preliminary HUD electronically while sitting at home after banking hours! We did not have to run around frantically trying to have things signed and delivered. The actual closing was just as easy. A notary came to my office in Fort Lauderdale and the process was completed within 20 minutes. Prior to closing, Lynn provided contact information for a wonderful network of handyman, plumber, etc. This gave us the comfort that we were buying a house in a beautiful community with a network of people to help us. It really made us feel confident that we could manage an investment property 100 miles away, so much so that we encouraged my parents (who live in Vermont) to do the same. With Lynn’s help we found a house for them too. They close next week. A short three weeks after closing, our house is almost ready to rent. We’ve had the comfort of leaving our key with the handyman. He has been available to let other service providers in during the week and my husband and I have spent the weekends making decisions, buying materials, and helping out with the work. Last weekend our 13 year old son was with us. One of the neighborhood boys started talking to him and within 30 minutes, they and 12 other kids were playing a pick-up game of football in the backyard! It is so refreshing to know that a true sense of community can exist in Florida. We have lived in the Fort Lauderdale area for over 20 years and have never really felt “at home.” We have fallen in love with your beautiful city and hope to soon buy a vacation home so we can spend more time there and perhaps one day retire to Cape Coral. “I moved to Florida in 1973 and became a licensed Real Estate Broker with my own firm in 1976 and although at 75, I no longer have my Broker’s license, I invest in Real Estate in Lee and Collier Counties individually and thru my LLC’. I invest personally and thru in LLC. “Sue an I would like to thank you for all of your help with our purchase of 1152 SW 41st Terrace in Cape Coral. Meeting the short time frame for closing, required by the owner, was made possible through your oversight, advice and recommendations. We greatly appreciated your open, honest opinions regarding the property, and the fact that you never hesitated to push when pushing was needed. Earl and I wanted to thank you very much for all you have done for us in searching for that perfect home in FL. You are fantastic to work with, very flexible and extremely responsive to all the questions we had and the houses we wanted to look at. You have certainly demonstrated your level of knowledge, experience and network of colleagues to get through a HUD closing within 30 days! We feel you have truly went above and beyond for us. We will highly recommend you to all of our friends looking for houses in this area. In regards to your network, it has been extremely helpful with you sharing your contacts for our construction and maintenance needs. “We began our home search in the Cape Coral, FL area in August, 2014. Our association with Lynn Hesselbach began at that time. Her unwavering attention and sincere desire to assist us in finding our dream home made the process an absolute pleasure. Her professionalism and honesty when showing and describing the various homes to us allowed for open communication and a greater understanding between us. Lynn took the time to get to know us and what it was that we were looking for in a home. At no time was her opinion imposed upon us. She delivered facts about the properties with knowledge of what was important to us and a thorough understanding of what we were looking for. Her network of associates and professional acquaintances’ led us to the perfect professionals to suit our needs. We can’t say enough about the wonderful people she referred us to and who assisted us in the home buying process. I am writing this letter to express me and my families sincere praise and gratitude for the best realtor we have ever dealt with throughout any real estate transaction we have ever been involved in ! My husband and I lived in Massachusetts but had been thinking of moving to Florida for many years, on one of our trips to Fort Myers we visited your model home on Cape Coral Parkway it was then that we were fortunate enough to meet one of your realtors Lynn Hesselbach . Of course we were in love with the Mandolin home but it was out of our price range. Lynn was so enthusiastic and friendly we discussed our concerns with her and she encouraged us to meet with another team member at Aubuchon to discuss potentially building a smaller house modeling it after the Mandolin and so we did, when we realized maybe it was possible Lynn immediately began showing us available properties to try to find the best location for our family. During this process it was obvious she was proud of the company she worked for (Miloff Aubuchon) and that she was extremely knowledgable about real estate, not just what she does but what every person involved in the process does she was able to answer our many questions about an out of state move and the community we would be moving into. Lynn asked questions to find out what was important to us in a home and community and then worked tirelessly to make our dream a reality, she puts her heart and soul into her work. In order for me to list all the wonderful things about Lynn I would have to write a book so I will stop now. Lastly anyone looking to buy or sell a property in the Cape Coral area you will not be sorry if you have Lynn Hesselbach on your team! Buying a home is not only part of The American Dream, but also a challenging reality full of unknowns and hesitations. Lynn Hesselbach, of Aubuchon Realty, helped me navigate through those challenges and proved her utmost resilience during our search for the perfect place to call home. Swift and supportive, with a unbeatable professional demeanor, Lynn was able to facilitate the process with ease. I would recommend Team Aubuchon and Lynn Hesselbach to anyone ready to find their dream home! I just wanted to take a moment to thank you for all that you have done for Wayne and I, throughout our Home buying process you have been there for us. With all honesty, we have never met a Sales Agent more dedicated, thorough and personable as you are. It has been a pleasure working with you. You are by far the most knowledgeable Real Estate Professional we have ever had the pleasure to work with. From day one we knew we were in good hands. Miloff Aubuchon Realty Group Inc. is very fortunate to have you as one of their Real Estate Consultants. We look forward to working with you in the future and we will definitely be referring all our family and friends to you Lynn, the best Sales Consultant in Cape Coral Florida. Jeremy and I just graduated college, moved to the Cape Coral and fell in love with the area. We knew we wanted to purchase a house and start our lives. A few coworkers referred us to Lynn. Being as young as we are, we worried about not being taken serious in the house buying process. Lynn not only took us seriously, but also exceeded our expectations by far. This was our first house to ever purchase and the process easily could have been overbearing, if it weren’t for Lynn. She took an extra amount of her personal time to teach us what to look for and she make sure we didn’t feel stressed. She was almost more excited than we were to find us a house haha. Her passion for her job shined through day by day. Anytime there was important news to share with us she called immediately or even showed up to our work to tell us in person. She made it feel as if we were her only customers. Because of her and her excellent advice, we were able to beat out 12 other offers. Even after we found the home of our dreams she continued to help us. She set us up with countless contacts, from the best handymen in town to finding great deals on furniture. She is a loving, generous, passionate, and knowledgeable realtor. After only knowing her for two months she already feels like family. We highly, highly, recommend using Lynn as your realtor. We live in Iowa and were in the process of looking for a second home in Cape Coral area. We were very fortunate to utilize Lynn’s knowledge and expertise in the Cape Coral Real estate market to find our vacation home. Her energy and professionalism is second to none. Can you believe we have closed on our third investment property in just over 1 year? None of this would be possible without your hard work and dedication. No one knows SW Cape Coral like you! We never feel that being a long distance investor is an issue as long as we have you to assist us. Don’t know what we would do without you! Simply put, Lynn Hesselbach is the best! Not only is she an excellent real estate agent, but she is a great person who truly cares about her clients as well as her community. 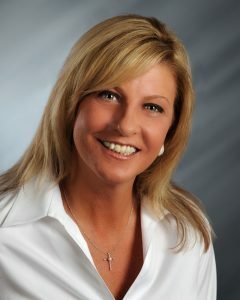 Professionally, Lynn possesses strong, imperative proficiency in all areas real estate and investment-related. Additionally, she is well-respected in the field and has good peer relationships, allowing her to offer more to her clients. Her expertise, dedication, and positivity absolutely shines. These things are all extremely important, but what sets Lynn aside from others is her contagious enthusiasm and devoted attentiveness. Lynn is candidly passionate about her career in earnestly helping her clients achieve their goals without apprehension. In our recent wonderful experience with Lynn, she always made time for us. We never felt rushed or as though we were bothering her – whether on the phone or in person. She didn’t just show us homes – she helped guide us, and encouraged us to wait for the right home for our family. It was never just about making a sale, rather helping us make the best investment possible for us. We honestly could not be happier about our decision to work with Lynn, and very highly recommend her. Since we moved to Cape Coral and take the decision to buy a house we knew Lynn would be the person we want to help us to find our very 1st house. We met Lynn back in June 2014 when we moved to Cape Coral and since then we love her energy and passion about life. When we finally decided to buy our house we call Lynn and we said “Lynn we are ready” and of course she jumped on board right away. I think we were seeing the 1st house just 24hrs after that call. My husband started to choose houses from the list she sent online, when we saw the fifth house and Lynn was watching my face she said… Ben can I make a couple suggestion on the list an pick some houses”, well that changed everything, since she choose exactly the houses we were looking for within our budget and more important in the right neighborhood. Once we had done showing us around 100 houses at any time and any day since we work in the hospitality and we just have a baby we couldn’t do normal business days or hours but that doesn’t matter to Lynn since she is happy to do any day at any time, that saved our lives and give us the opportunity to find our house in a very reasonable time frame! We cannot thank Lynn enough to help us find our 1st own house and give us so many suggestions and advices who made the decision much easier. WE LOVE OUR HOUSE WE LOVE LYNN. Ben, Val & Baby Nina. My wife and I have purchased and sold several homes through Lynn Hesselbach of Miloff Aubuchon Real Estate since 2012. In the Cape Coral area, we simply would not use anyone else to assist us with our real estate needs. We are completely confident and comfortable with Lynn’s ability to get the job done. First of all, Lynn works 24/7. She is simply committed to her craft. She is accessible anytime we need her. She will do anything to accommodate or facilitate a client’s needs, even making a trip to the grocery store for them. If Lynn needs to research the answer to an inquiry we might have, she digs deep and responds immediately. She truly cares about her clients on a personal level. Her degree of empathy is rarely seen in business. Lynn is truly a good person succeeding in a tough world. But she is no cream puff. Lynn will go to bat and fight for her clients interests beyond the call of duty. She simply cares that much. It helps that she knows her market like the back of her hand. Lynn’s knowledge of the Cape Coral real estate world is second to none. Often, we might look at a home or property that is identical to another one located in a similar area, but listed at a dramatically different price point. Immediately, Lynn knows why. And she knows whether or not the difference is legitimate or not. Lynn knows every area and every street in Cape Coral. She knows why the homes on one end of a road are more valuable than the homes at the other end, and she will have data to back it up. Her support network is peerless. Lynn seems to know everyone in Cape Coral in nearly every business, service field or walk of life. From a million dollar estate, to a spiral staircase, to an Infinity pool, to a good restaurant, Lynn can tell you where to buy it, sell it, install it, repair it or eat it. And she might even show up to help do it herself. There is simply no better or more dedicated Realtor in the Cape Coral area than Lynn Hesselbach. It’s not even close. We look forward to working with Lynn for many years and many deals to come. She is one of the finest people we know and she is a huge asset to Cape Coral. We are extremely pleased to offer our sincere recommendation of Lynn Hesselbach as a real estate agent for any individual or family searching for their ideal home in and around Cape Coral, Florida. We first met Lynn when we moved into our condo at Cape Harbour. We were not familiar with the area or anyone in Cape Coral and even though we already bought a condo using a different realtor, she didn’t hesitate to offer us assistance with local businesses, restaurants and went out of her way to introduce us to other people in our complex. Whenever we needed a recommendation, Lynn was there for us. As we got to know more people in the area, we found out how well liked and respected she is in the community – now that’s impressive! From that moment on, we always said if we were to ever sell our condo, we would call Lynn! Well, 5 years later, we fell in love with Cape Harbour so much, that we decided we want to spend more time here which meant – we need a bigger place! The only person we would even consider calling was Lynn. The real estate market at Cape Harbour was a bit challenging at the time, but her energy never wavered. Because of her desire to please her clients, ability to think ‘out of the box’ and outstanding negotiation skills, she was able to sell our unit and put us under contract for a larger unit – all within a day! While there is no denying Lynn’s real estate experience, skills and professionalism, what is equally impressive is the generosity she shows everyone she meets and the Cape Coral community. She is very active in community fundraisers to help others in the community. We have had the pleasure of participating in some of the fundraisers with her and her sincerity and caring personality shines through. We consider ourselves lucky to call her our friend. We are pleased to recommend Lynn Hesselbach to anyone looking to buy or sell a home. We believe she is easily the best in the business and if we ever need to move again she will be our first choice in real estate agents. We would be happy to discuss our experience in more detail. Lynn Hesselbach was recommended as the Best Realtor in Cape Coral, FL. I have to agree. She showed me a minimum of twelve homes a day, on four different days (due to my circumstances.) She showed me everything I wanted to see. Then, she showed me options not on my list. She brought up things I hadn’t thought about, such as lifestyle options, desirable locations and privacy issues. She found us: The Perfect Turn-Key Furnished Canal Home. She negotiated the price $30K down; while keeping track of the “fine print” terms of the sale (to protect me.) She helped me step by step in the process of getting required documentation for obtaining insurance and a loan. She has a complete team of professionals in place to handle every area (inspections, appraisals, surveys and title searches) of a home purchase. This made it easy to get things done fast. After obtaining an Insurance binder, she put me in the hands of her most trusted Financier. She made the loan paperwork easy, due to her guidance through the preparatory stages. I simply needed to give the loan officer my financials and the loan was approved. My wife and I couldn’t have been happier with Lynn’s Superior Skills, Insight and Connections (She only works with the “Best of the Best”). Then, she gave us a list of the best people she knows for home, yard and pool maintenance (ie, Cleaning, Electrician, Handyman, Lawncare, Painter, Pest Control, Plumber, Poolcare, Screen Enclosure Repairman and Tree/Shrub Trimming). I have used most of them. They are timely, honest and hard working Professionals. She gave 110% every moment I was with her. She guided me to the best of what Cape Coral has to offer. Embraced me like family. Told me she was going to find the perfect house for me. And, she delivered!!! (She also predicted: This won’t be the last house I buy in Cape Coral.) She may be right about that too. She is the only realtor I will use in Cape Coral.